A sketch of the Empire State Building drawn by President Donald Trump is going up for bid at a Los Angeles auction house. Julien's Auctions says the 12-inch-by-9-inch black marker depiction of the iconic New York City skyscraper was created by Trump for a charity auction in Florida during the time he opened his Mar-a-Lago estate as a private club in 1995. Julien's says the piece signed by Trump went for less than $100 the first time it was sold and is now estimated at $8,000 to $12,000. The auction house says a portion of the proceeds of any sale will benefit National Public Radio. The artwork is part of Julien's Street, Contemporary & Celebrity Art auction, which takes place in L.A. and online on Oct. 19. 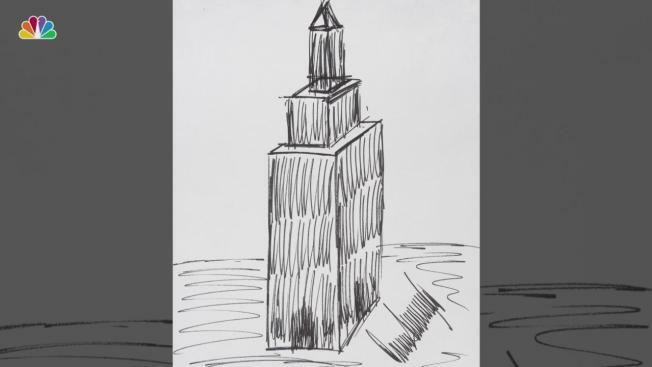 In July, a sketch Trump did of the Manhattan skyline went up for auction. It fetched nearly $30,000.